Leadership is the ability to influence a group towards the achievement of a vision or a set of goals. Universalist theories stem from the belief that all leaders will have certain traits that will contribute to effective leadership. The ‘great person theory’ was previously known as the ‘great man theory’, mostly because leadership was once considered to be a predominantly male quality. This theory basically follows the quote: “great leaders are born, not made”; meaning that it supports the nature debate. 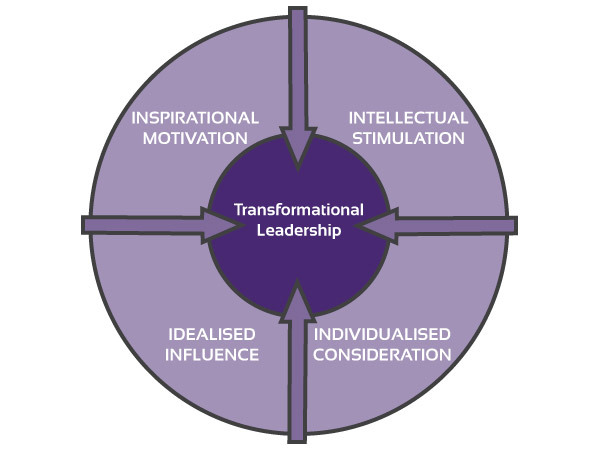 Charismatic leaders and transformational leaders have different styles. A person takes on a role based on their charisma (an ability to attract or influence). Charismatic individuals are popular and connected to other people. They have high performance expectations and make personal sacrifices. They are sensitive to their environment and their followers’ needs. They work best at motivating people in the context of ideology. Subordinates follow the leader’s guidance mostly out of respect or adoration. A leader who connects to people and appeals to each person’s abilities and ideas. Transformational individuals motivate their subordinates by helping them to recognise their task responsibilities, identify their goals, acquire confidence and understand how their desired needs or rewards are linked to their goal achievement. They are very focused and help their followers at a personal level. They challenge their subordinates and encourage productivity and innovation. 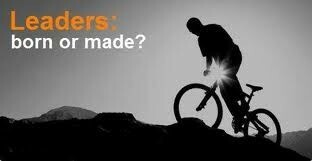 What a transformational leader expects from themselves is what they also expect from others. They are energetic, expectant and encourage subordinates to voice ideas. Behavioural theories stem from the belief that the effectiveness of a leader depends on how they behave. 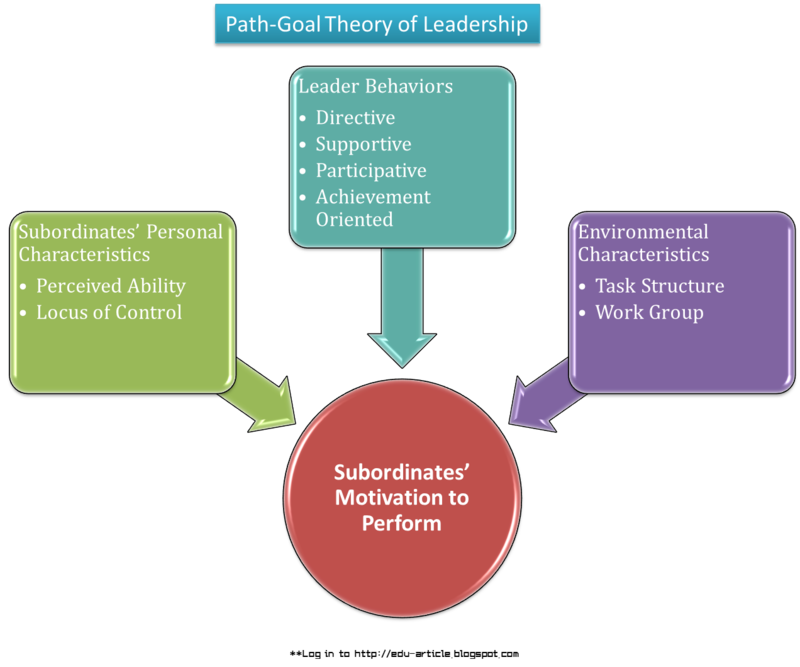 Initiating structure – the extent to which a leader is likely to define and structure their role and the role of subordinates in the search for goal attainment. Consideration – the extent to which a leader is likely to have a job relationship characterised by mutual trust, respect for subordinates’ ideas, and regards for subordinates’ feelings. Production-oriented leaders – they emphasise job technicalities and their main concern is to accomplish the tasks at hand. They see subordinates as a “means” to reach the desired end result. These leaders are also called “task-oriented leaders”. Employee-oriented leaders – they emphasise interpersonal relations and have a personal interest in their employees’ needs. They accept individual differences and are also known as “relationship-oriented leaders”. Fred Fiedler’s theory states that there is no singularly best style of leader; instead, a leader’s effectiveness is based on the situation they are in. A match has to be made between the leader’s style of interaction with subordinates, the degree to which the situation gives control and influence to the leader, and the respect subordinates have for their leader. These three factors will lead to effective leadership. The effectiveness will be the result of two factors: leadership style and situational favourableness. the degree of confidence, trust and respect between leaders and subordinates. the degree to which job assignments are structured. the degree of the leader’s power to hire, fire, pay wages, etc. If a job assignment is highly structured and the leader’s position power is very high, then the leader-member relationship would be positive because the objectives would be clear to employees. To identify leadership styles, Fiedler introduced a questionnaire: “Least Preferred Coworker” (LPC). A high score in this questionnaire would mean that the coworker is interested in good interpersonal work relationships while a low score would indicate that the coworker is more task-oriented. Task-oriented people work best in extreme conditions. Relationship-oriented people work best in moderate conditions. According to Fiedler, leadership styles are not a fixed phenomenon. The leadership style will depend on the situation; people change their leadership style according to what the situation is asking for and what will be most appropriate in that context. This is a contingency theory that focuses on the “readiness” of followers. This term, as defined by Paul Hersey and Ken Blanchard, refers to the extent to which people have the willingness and ability to accomplish a specific task. The situational leadership theory states that leaders should change their leadership styles based on the maturity of the people they are leading and on the details of the task. 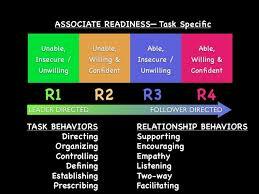 So basically, the leadership style should depend on the followers’ readiness and the task they must carry out. UNABLE, UNWILLING followers = leader must be directive and give clear instructions. ABLE, UNWILLING followers = leader must adopt a supportive and participative style. 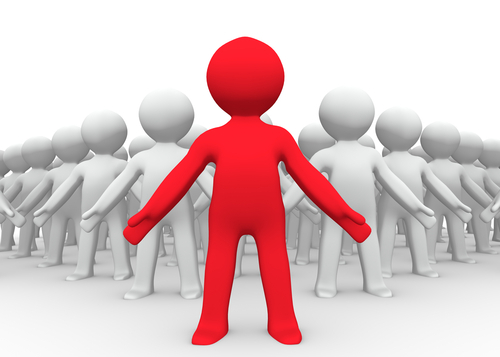 ABLE, WILLING followers = leader does not need to do much at all. Robert House’s path-goal theory basically states that it is a leader’s job to provide followers with information, support and other resources that are needed to accomplish a specific goal. An effective leader will clarify the path that needs to be taken in order to achieve the goal. They will also help their followers along this path and reduce any ‘roadblocks’. This ‘path leading to goal’ basis is where the term “path-goal theory” comes from. They tell followers what their expectations are. They tell followers what the schedule of work is. They give specific guidance on how to achieve the goals. This style is also called “task-oriented leadership”. They are friendly and supportive. They are concerned about their followers’ needs and welfare. This is basically “relationship-oriented leadership”. They give followers a role in decision-making. They consider other people’s opinions. They look for alternative views and suggestions. They work alongside their subordinates. They set challenging goals and are determined to achieve them. They have high expectations for their followers’ cooperation. These leadership styles are not mutually exclusive; leaders can select more than one kind of style or change their style according to other factors, such as the situation or follower needs. Environmental contingency factors, otherwise known as “work environment characteristics”, include factors such as task structure and team dynamics. These are not in the employees’ control. For workers performing simple and routine tasks, a supportive style would be more effective than a directive one. A participative style would work best in non-routine tasks. When team cohesiveness is low, a supportive style would work best. Directive or achievement-oriented styles could be used when performance-oriented team norms exist. To counteract team norms that oppose the team’s formal objectives, leaders can be directive. Personal characteristics are factors such as employee needs, experiences, perceived abilities, satisfaction, anxiety, willingness to leave the organisation, and the locus of control. Autocratic – an authoritative style. Permissive – subordinates take part in the leader’s decision making and are very autonomous. Bureaucratic – a procedural style with policies, routines and strict rules. Laissez-faire – a style without authority or direction; workers have total freedom. Transformational – a goal-oriented style. 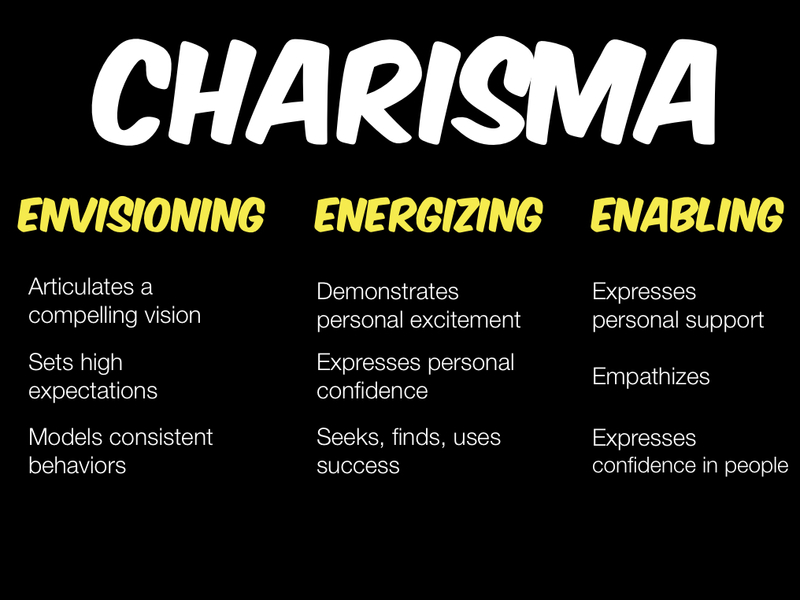 Charismatic – a style in which the leader is hero-like and is admired greatly. Democratic – a style in which leaders take workers’ suggestions and workers participate continuously, though leaders have the final say. As mentioned above, an autocratic leader makes all decisions alone and does not ask for or consider subordinates’ opinions and suggestions. A permissive leader is more communicative during their decision-making process by letting subordinates be a part of it, and also allows subordinates to be more autonomous. According to Jan Muczyk and Bernard Reimann, some leaders do not involve subordinates in decision making because they believe that it is their job to make decisions and the workers’ job to accomplish them. This is generally the case when leaders consider that they have the most, or the best, information than the rest of the employees and that they are capable of making lone decisions. Muczyk and Reimann also state that this autocratic style of leadership should be used when employees are new and learning about their job. In this case, an autocratic leader would basically be training the employees, providing them with new knowledge and skills, and so on. They also believe that autocratic leadership should be used when fast decisions are needed and when there is no time for consulting others. Most leaders need to be taught how to cultivate certain skills, such as: building trust, optimistic thinking, flexibility, empathy, healthy communication, methods of monitoring, authenticity, articulation and quick-thinking. They may do this by attending seminars, training courses, workshops or other similar events in which lectures are given, tips are swapped and training is carried out through a variety of methods. The leader is encouraged to develop their skills for the benefit of their organisation, their employees, and themselves. However, some may argue that leaders are born with these skills (think back to the ‘great person theory’ that supported the belief that leaders are born, not made). Still, it can be said that even if a leader naturally has these skills, there is no harm in developing them further. As for the characteristics of effective leaders, you should be able to deduce from all the information above that different characteristics could be effective in different situations. While flexibility may be very effective for motivated, willing and able workers, it may give opposite results when used with unmotivated, unwilling and unable workers. Some characteristics are arguably effective in nearly every situation, such as: strong levels of trust, good communication, authenticity and honesty, articulation and optimistic thinking. 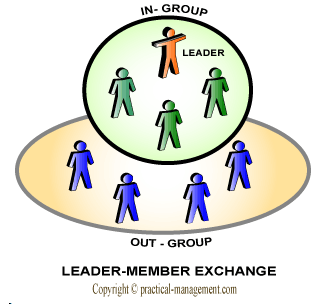 Fred Danserau’s leader-member exchange model is also called the LMX theory. The idea behind this theory is that leaders form two groups within their subordinates: an in-group and an out-group. In-group members are given greater rewards, responsibilities and attention. They are part of the leader’s “inner circle” of communication and are generally given more freedom. Out-group members are given less rewards, responsibilities and attention. They are governed by policies and rules. This theory is also known as the “leader-participation model” and was proposed by Victor Vroom and Philip Yetton. It a leadership theory which provides a set of rules to determine the form and the amount of participative decision-making in different situations. Basically, this model has identified five different styles about the situation and the level of involvement. Manager solves problems alone and makes own decisions with present information. Manager takes necessary information from subordinates but does not involve them in the actual decision-making process. Manager shares problems with relevant subordinates individually and makes their own decision which may or may not have been influenced by subordinates’ opinions. Manager obtains ideas, information and suggestions from subordinates in a group session but makes the final decision alone. Manager shares their issue with subordinates in a group session and coordinates their efforts to think of a situation as a group. “She is a charismatic leader. so what?’ Evaluate what psychologists have discovered about leadership and management, including a discussion of the usefulness of theories of leadership.